For many, New York City’s Broadway is the gold standard of musicals and famous theaters. However, Boston has quite a few historic theaters located in the theater district and throughout the downtown area. One of the most famous is the Colonial Theater, built 117 years ago. At it turns out, many of the more famous shows, such as “Porgy and Bess” and “Oklahoma,” were first presented at this theater in Boston before debuting on Broadway. This famous theater was designed with many classic and beautiful features, but it was also built at a time when asbestos was used in virtually every aspect of the construction process. Over the years, the theater began to fall apart and was literally crumbling into dust. 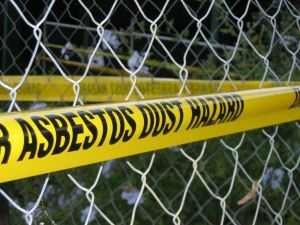 Since much of this dust contained deadly asbestos fibers, this became a major problem, and there was much talk about the theater closing down forever, according to a recent article from The New York Times.As our Boston asbestos injury attorneys can explain, when asbestos is installed and intact, it is generally safe to those who are living in or using a building. The reason for this is because it is the microscopic fibers that can cause malignant mesothelioma when ingested or inhaled. If you look at an asbestos flooring tile, for example, it was very dangerous to the workers when it was being installed. The workers would cut the tile using a circular tile saw that was throwing dust everywhere. Even if the the tile was pre-cut, as most are, in any tile job, the tiles are typically cut on site by workers to fit around wall edges where a full tile would be too large. These saws would throw dust everywhere, and that dust would contain deadly asbestos fibers. The workers were not likely wearing adequate protection, because the companies that made the tiles deliberately kept the information that asbestos caused cancer from the workers and general public. When the public first became suspicious of the dangers of asbestos, they would actually go so far as to market their asbestos products as safe alternative to asbestos when they knew this was clearly not true. This is the reason we have seen punitive damages in some Boston mesothelioma lawsuits. The tiles were also applied using cement or mastic that contained asbestos. The reason for this is because, in addition to this naturally occurring mineral’s ability to resist heat, fire, caustic chemicals, and electricity, it is also a cheap and effective chemical bonding agent used in many epoxies and glue products. While the tile is generally safe after being installed, once it starts to break down, it is known as friable asbestos, as it is giving off the deadly fibers in the form of dust and is capable of being crushed under the pressure of a human hand. As for the Colonial Theater, the owners have signed a 40-year lease with Emerson College, which will maintain the theater as part of its fine arts program once renovations are complete. These extensive renovations will include a full asbestos remediation process carried out by a certified asbestos abatement contractor with a plan approved by the local Boston health department.